The Rubber Cafe Design Team Blog: Berry Sweet Strawberries! Oh, check out these yummy berries from the Farm Fresh Creative Cafe Kit. 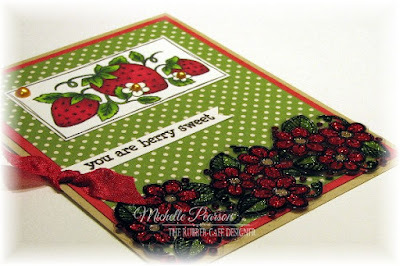 I stamped the berries on a 3 x 1 1/2 inch panel, colored them up with Copic Markers and doodled a frame around the edge. Next, stamp up your flower image on acetate with Stazon ink three times. Add Scrap Happy Sheer Glue with the Detailing Tip to the back of your stamped images and let dry. I used the 2 glitters in the kit and added a bit of Limeade Green You're So Fine Glitter on the leaves. 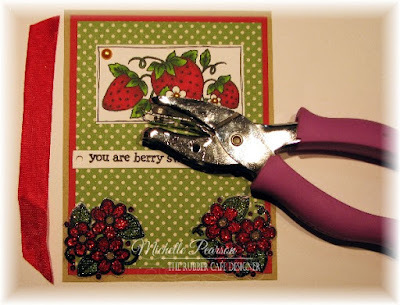 Assemble card as shown. 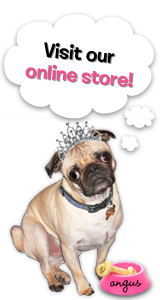 Stamp the sentiment on a strip of white cardstock and attach to panel as shown. Punch a 1/8 inch circle that you can tie a piece of red ribbon through. 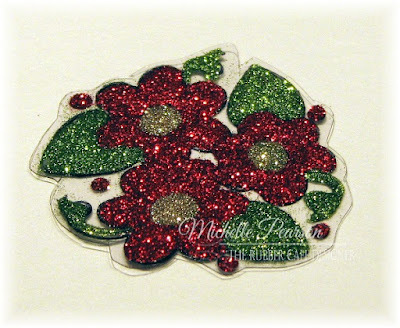 Attach your glittered flowers to card as shown. 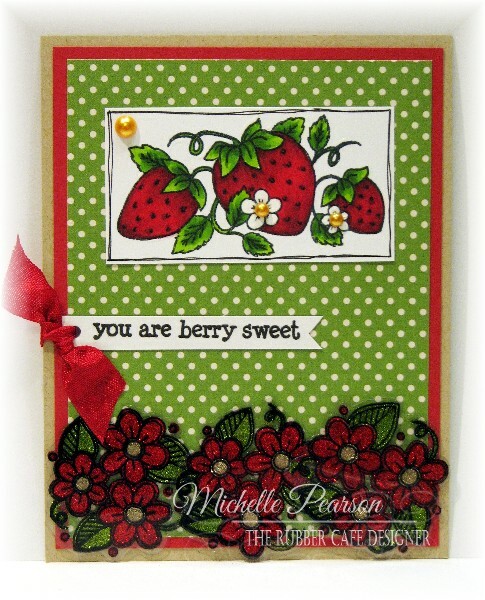 I added a few Yellow Sunshine Pearls to the stamped strawberry image as shown.